Harts Landing in Lewes Delaware homes sell Quick! Lewes Delaware Real Estate at Harts Landing is a single-family community home community located on Route 24 just west of Lewes. Here you can find well-constructed homes for sale and you can have a good experience house hunting because the realtors are knowledgeable and they go above and beyond the call of duty to make sure that you can find your dream home. You can get free reports and learn how sellers price their homes, which can help you when you are bargaining with the seller. You can find wonderful deals on new construction, foreclosures, bank sales or even land purchase. 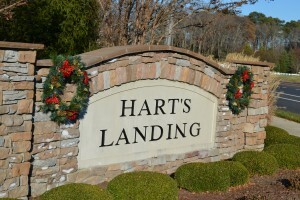 Harts Landing was originally constructed in 2006, and it’s a quiet community that offers numerous amenities. It is a walking distance from Rehoboth and the homes being sale in this area range from three to five-bedroom in size. You can make a great investment because properties are available at various price ranges. If you are an active resident, then you will enjoy living in Harts Landing because you can exercise in the outdoor pool or tennis court. You can also jog or walk along a trail and the community dock and pier is readily accessible. When it comes to buying property in Harts Landing, you can get a good deal on an extraordinary coastal home that is centrally located and is close to Rehoboth and Lewes Beaches. The home can feature single floor living, an upgraded kitchen with granite countertops, modern appliances, sun room, fireplace, surround sound system and custom paver patio. The rear yard can be fenced off to provide you with privacy and you can do irrigation if there is a well on the property. When the weather is fine, you can cool off in the community pool or take a relaxing walk down to the pier where you can do some fishing.